• All Stainless Steel construction will be maintenance free for a Lifetime of cooking pleasure. 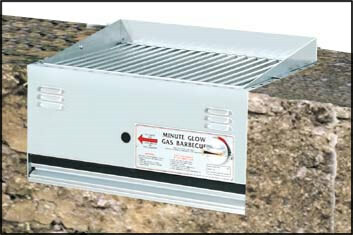 This unit is a common size to work like magic to provide permanent replacement of fireplace barbecues of lesser quality. • The Built-in model has all the features listed above for the mobile model except the Stainless Steel Cooking Cover which is sold seperately for the built-in models.